On the side I sell PartyLite candles in my “spare” time. A good benefit of this is getting to taste and sample all the goodies that hostesses make! 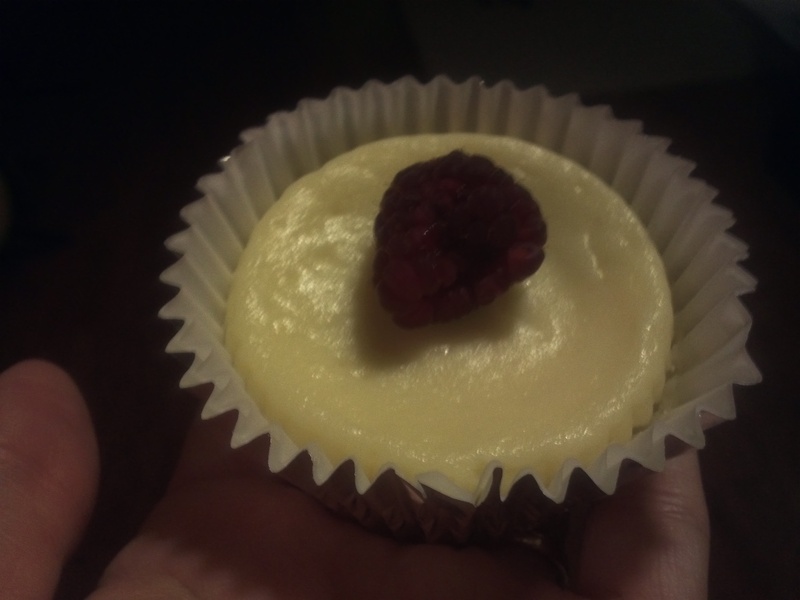 A few years ago, one of my hostesses made this recipe for mini cheesecakes. I wish I could remember her name to give her credit but we didn’t keep in touch. The recipe is written on a letter “J” notepad paper so we’ll say thanks to “J” for this recipe!! 2. Put a tin foil liner in a muffin pan. This recipe is for 12 mini cheesecakes so use 12 tin foil liners. 3. 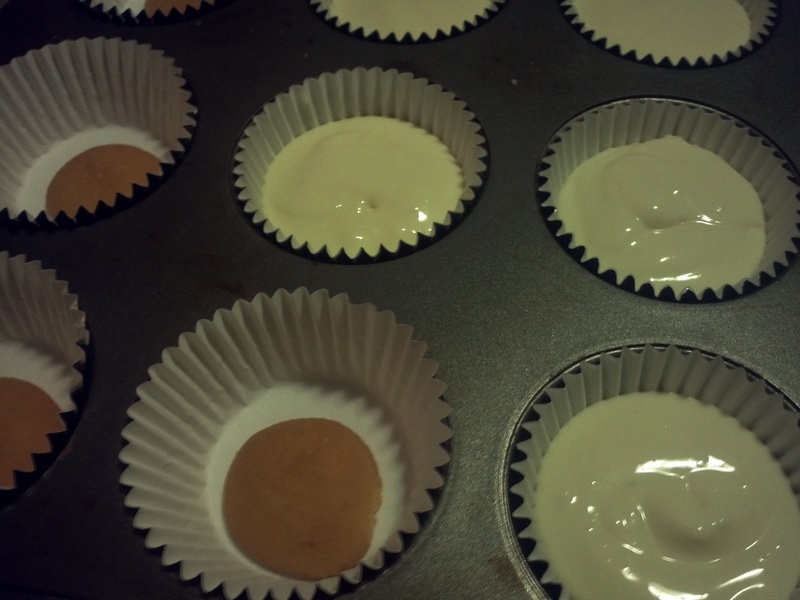 Place one vanilla wafer in each liner. 4. In a mixer, mix both boxes of cream cheese, vanilla and sugar on medium speed. 5. Add eggs to batter and mix well. 6. 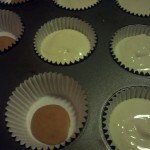 Fill tin foil liners 3/4 full with batter. 8. Let mini cheesecakes cool. 9. You can either eat plain or put a topping on it.